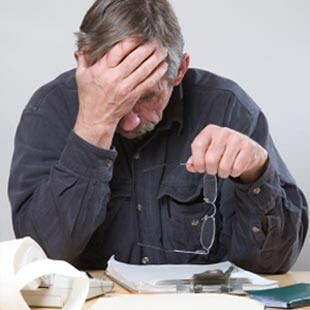 When considering bankruptcy, sooner or later, one is confronted with the "means test". The Means Test, simply stated, is an examination of an individual’s finances to determine if he or she is eligible for government assistance. This test was used during the Great Depression to determine a family’s eligibility for Home Relief. In the 1960s it was used to issue food stamps. In 2005, the Bankruptcy Abuse Prevention and Consumer Protection Act drastically changed America’s bankruptcy laws to require the Means Test. This test will determine if applicants are capable to repay all or part of their debt. If an applicant passes the test, he or she can file for Chapter 7 bankruptcy and possibly have their debt eradicated. If applicants fail the Means Test, they must file for Chapter 13 bankruptcy. There are many websites that offer the Bankruptcy Means Test, however many sites are not legitimate. The U.S. Department of Justice website offers official Means Test forms, and more information on the test. The first section compares your income with your state’s median income according to your family size. If an applicant’s income is at or below the median they will be allowed to file for Chapter 7 bankruptcy. If the income supercedes the median it doesn’t mean the applicant cannot file for Chapter 7. These applicants must continue on to phase two of the test. In phase two of the test, an applicant must deduct IRS-qualified expenses from his or her monthly income to determine their disposable income. Next, the applicant must multiply this total over the course of five years. If this total is less than $6,000, then the applicant has passed the test. Passing the test, however does not guarantee the applicant will be approved for Chapter 7 bankruptcy. If the disposable income is between $6,000 and $10,000, the applicant must prove his or her disposable income is less than 25% of non-priority debts. If this is the case, the applicant passes the Means Test and can continue filing for Chapter 7 bankruptcy. If an applicant fails the Means Test the debtor will be required to file for Chapter 13 bankruptcy. This chapter requires the applicant to pay the outstanding debt over the course of five years. Some unsecured debts may be discharged depending on the income of the debtor. The means test should always be done by an attorney because every case is different and case specific expenses might be deductable from income. Even though the income is above median, the debtor might still be able to file chapter 7 without a repayment to creditors.